I can’t think of anything better than hitting the open road. Packing up the car with camping gear, a map and leaving the daily life behind for a while is one of my favorite things to do. The freedom of driving, seeing the landscape change, taking in all the colors, views and more, well there’s just something special about that. With only ten days available before I had to dive back into work mode I knew I wanted to see Yosemite National Park. After that I wasn’t so sure, maybe the coast of California to Redwood National Park, Lassen National Park and maybe a revisit to Crater Lake en route back to Utah. My goal of visiting all 59 National Parks in the US started a year ago. I had visited some throughout the years but most of my adult life I have had a dog and although you can travel to National Parks with a dog most often you can’t bring them on the trails. After my beloved dog passed away I decided now is the time to cross this off my bucket list. I started in April of last year and managed to visit 13 parks. This year I’ve only been to four. My pace last year was a lot faster but running two blogs, starting a business and working full-time has slowed me down. I do have plans for at least another 8-10 National Parks this year. I’m going to try to finish the western part or at least Colorado, California, Arizona and New Mexico since I still have a few parks in those states to visit. After that I need to start making my way east. If I can accomplish that I will be close to have visited 30 parks! Although I recently learned about the Parks Passport so at some point I will be going back to many to get my stamps. There are several roads that lead to Yosemite from Utah but I decided to take I-80 as I haven’t driven it for a years since I usually prefer the back-roads. 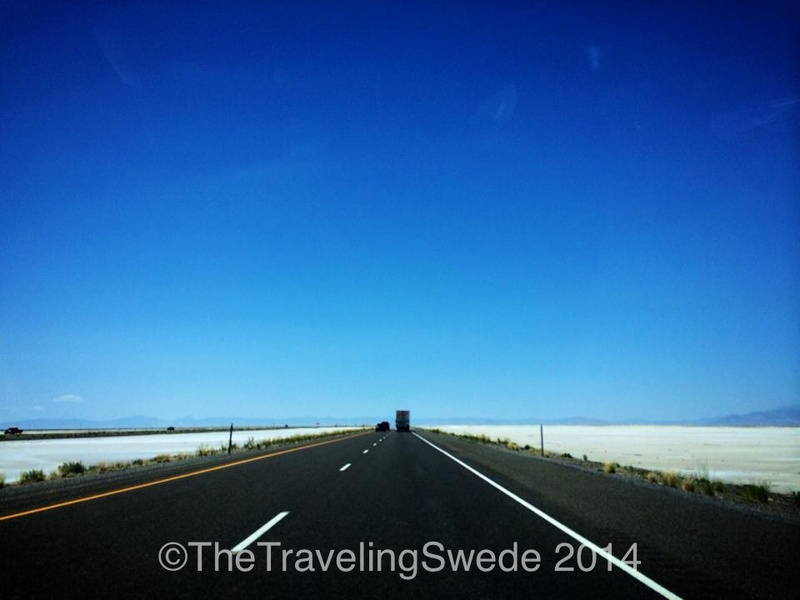 As you are driving west on I-80 towards Wendover there’s a really cool place called Bonneville Salt Flats. 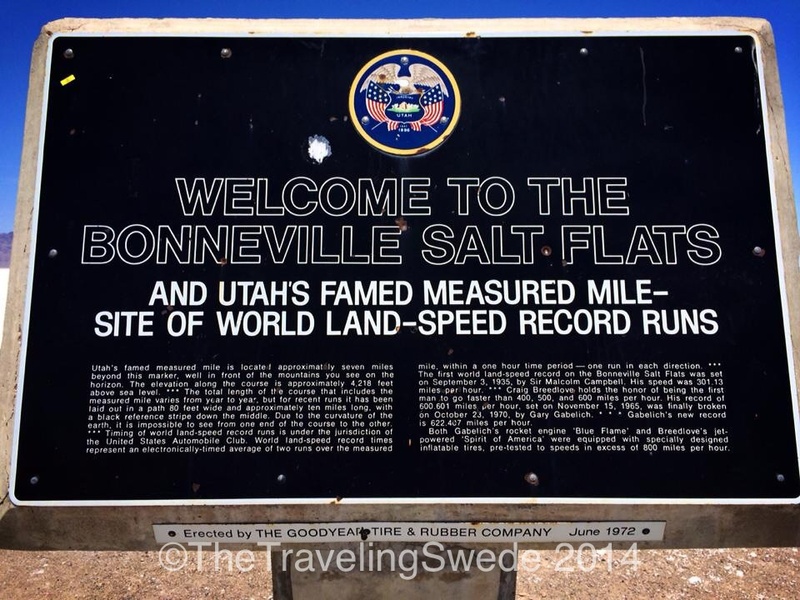 It’s world famous for the speed record attempts that take place there a few times a year. People from all over the world come to watch motorcycles and specially built cars drive as fast as they can on these salt flats. Part of the movie “The World’s Fastest Indian” with Sir. Anthony Hopkins was filmed in Utah and the Bonneville Salt Flats. I will drive a car as fast as it can hold together here one day soon. 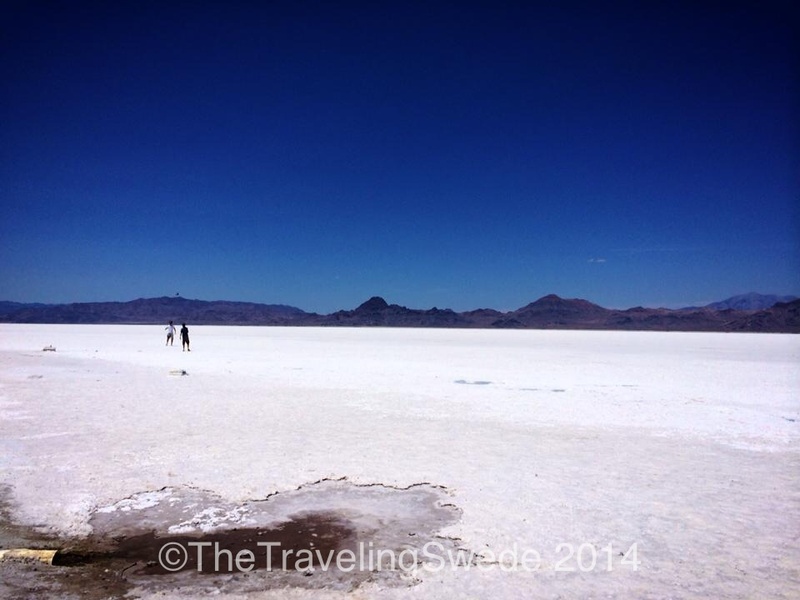 It’s not recommended to take your regular car on the salt flats. These are mountains in the background. When it gets really hot the salt glimmers and gives you the illusion that this is a lake as the mountains reflect in the salt. 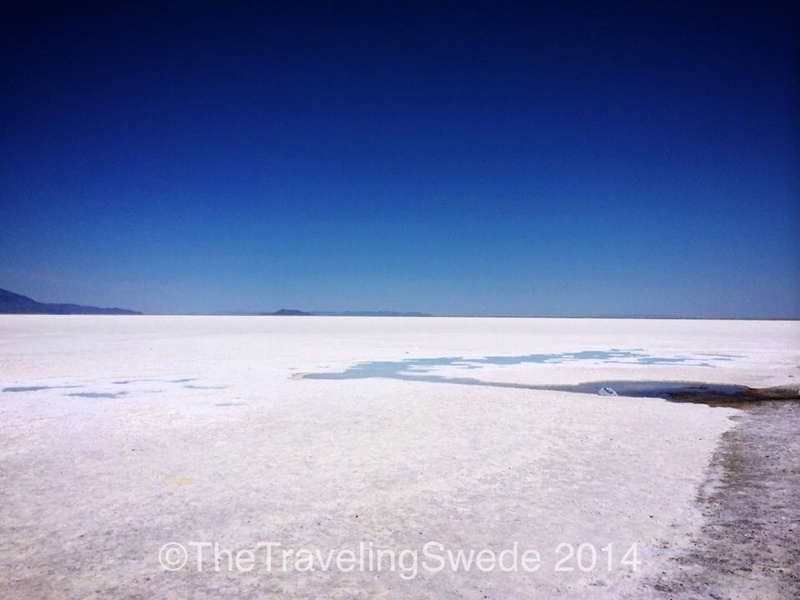 Nothing but salt as far as you can see…it’s a really cool place to visit because it’s so different! 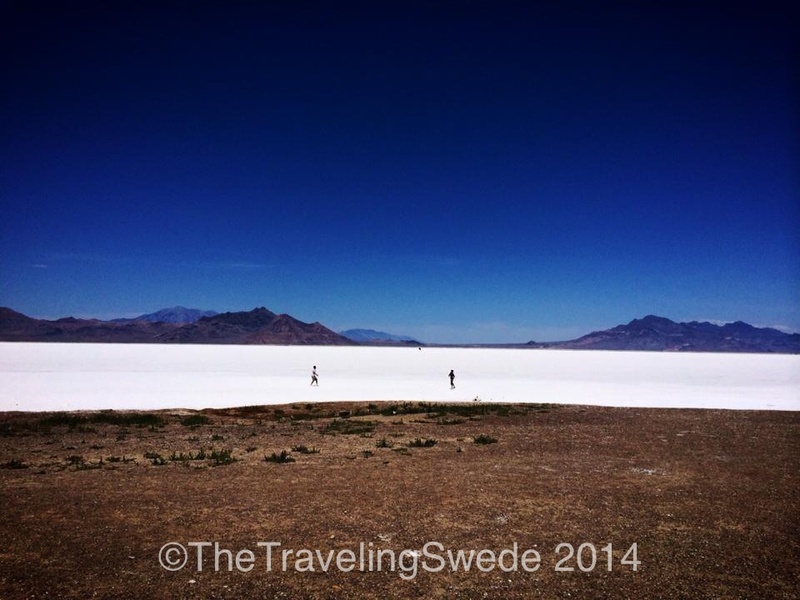 But you can do other things on the salt flats too…like playing catch. These two guys sounded Italian and decided to play catch with an American football. People ask if the sky in Utah really is this blue. On a clear day the answer is yes. My lunch view. There’s a great spot next to the parking area with tables where you can have a picnic in the shade. A last view of this unique area before moving on. 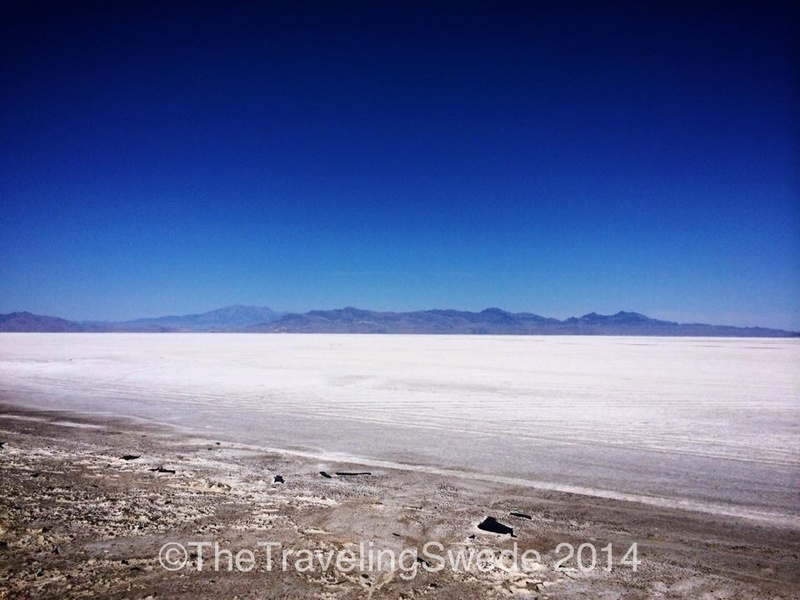 I had a fun time at the Bonneville Salt Flats but up next was Yosemite National Park. With another 9 hours to go it was time to hit the road again. Writing this made me miss my dog and I can’t wait until I have a furry friend by my side again. If you are a dog lover like me don’t forget to check out Ruffwear (affiliate link). I love their stuff and your dog will too! Plus they always have specials going on. 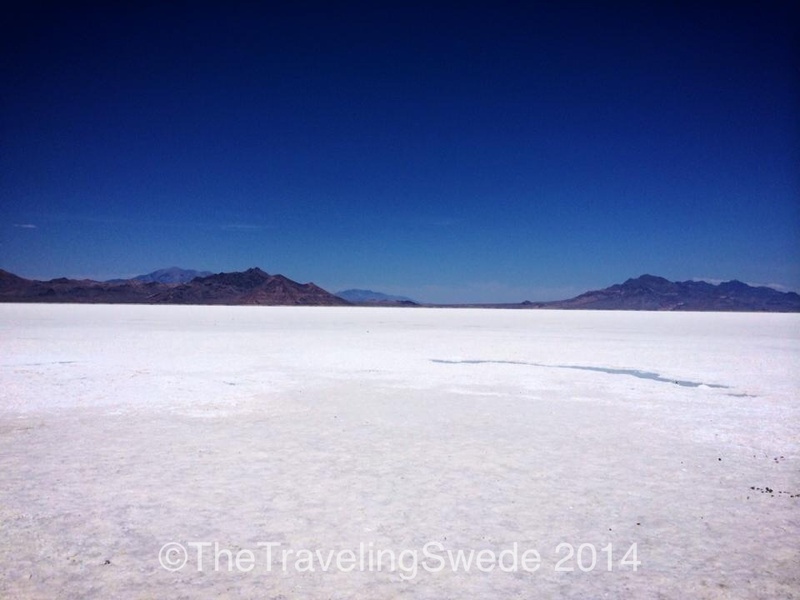 Have you ever visited Bonneville Salt Flats in Utah? Glad to hear you’re back on the road. We’re off to Rocky Mountain National Park on the 15th. I lost my dog a little over a year ago and words can’t begin to express how much I miss him. But because of the travels we plan to do, we’ve opted to hold off with any furry addition for awhile…. tough though. Happy trails. I look forward to your tour of Yosemite. I’m sorry about your dog. It’s the hardest thing to go through. The way they love us and share their happiness and joy. Just so hard without that in our lives but yes, travel is easier without. I love all your adventures (still can’t comment on WP.com blogs which I hear is happening to others too). The photos and fun times you shared from Denver really inspired me to think of things to do in my own town that I don’t do. Like going to the Silver Mine Museum. On my list now. I really want to try to do Rocky Mountain NP this year. I hope the main scenic road (can’t remember the name) that is under repair opens up in time for your visit. Happy Trails too! 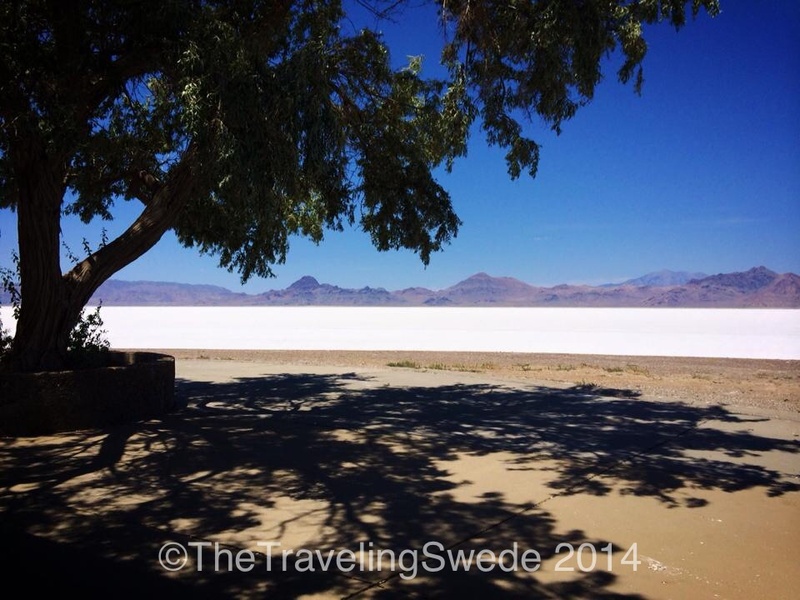 Great pics of the Salt Flats. I’m adding it to my list. I can’t wait to read about the rest of your trip. Thanks. It’s a fun time. Especially seeing them race on it. Although we have had so much rain they had to delay this years races. Working on the Yosemite post. I’ve been distracted reading Vagabonding by Rolf Plott. Great book!